GLADSTONE is home to about 45 people from Jamaica and they are determined to keep their culture alive. Colin Carby, who helped a reggae cruise on Saturday, said they welcomed any excuse to get together. "I believe Gladstone has one of the biggest concentrations of Jamaicans in Australia," he said. "We meet once a week at someone's home." "Someone might have prawns and Jamaican rum and we go around and play dominos." Saturday's cruise provided another chance for the group to celebrate everything Jamaican, with about 150 people joining in the fun. "This event sold out a week before it was on," Mr Carby said. "We will definitely do another one for New Year's Eve with fireworks." Jamaican father-of-four Leighton Forsythe misses the pumping, reggae parties that he enjoyed in his homeland. Mr Forsythe moved to Gladstone four years ago with his wife Nordia and their four children. They came to Australia for work opportunities, with Mr Forsythe taking up a job at QAL as an operations planner. Mr Forsythe said he enjoyed living in Gladstone but there was no place like home. "I miss the parties. 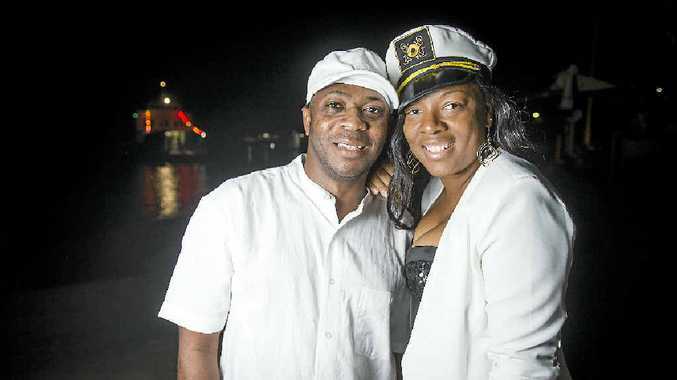 Jamaica is a tourism country and in winter there are boat parties," he said. "You look back at the lights on the harbour and it's just magical. "Jamaica is an authentic, happy country and we have a cross-section of different cultures." Mr Forysthe said he tried to visit his home town whenever he had time. His last visit was two years ago. When he found out about Saturday's reggae cruise, Mr Forysthe immediately bought tickets. "Jamaica and reggae is almost the same word," he said. "Ever since we got here we wanted more, more, more. I am looking forward to some good jerk chicken tonight." English is the official language of Jamaica but their dialect is Patois. "Patois is like Australian slang," Mr Forsythe said. "Ya, man!" READER RESPONSE: What will cruise visitors do here?